There are lots of different types of Buddhist meditation for beginners. Many types of Buddhist meditation techniques are not ideal for beginners. They required advanced practice. So even if you are tempted to try all of the 31 major meditation techniques right now, you might want to wait a while. 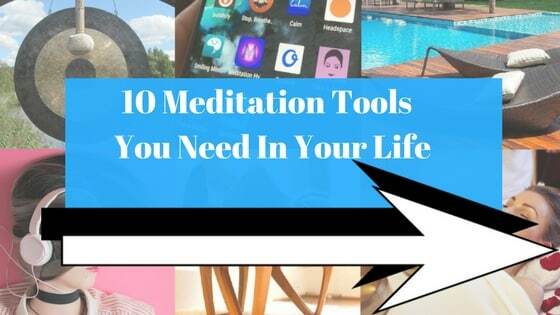 Thousands of THE DAILY MEDITATION’s readers have been inspired by our list of the 100 health benefits of meditation. And it is easy to understand why everyone is so excited about meditation. But there is a oath that beginners in Buddhist meditation should follow. There are health risks and problems that can come from meditating. That’s why smart people begin meditation properly. To help you out, I’ve put together a plan for learning Buddhist meditation for beginners. This will teach you how to meditate properly in a safe way. I’ll show you how to meditate like Buddha intended us all to do (which is not rushing in). And best of all, you’ll learn how you can use those different types of Buddhist meditation for every day happiness, health, and inner peace. Be sure to read my absolute introductory guide to meditation for beginners because it will prepare you for these Buddhist techniques. Before you learn Buddhist meditation techniques, it’s best to familiarise yourself with the basics of meditation. In that link I discuss how to meditate properly. If you are a beginner, Buddhist meditations should be done slowly and properly. If you really want to know how to meditate like Buddha, you’re going to have to do your ground work. There are certain fundamentals that go into a good Buddhist meditation plan. So, make sure you read that link above before continuing. Get started now: Read my guide to basic breathing meditations. Losing control. Wiping out. Crashing and burning. Falling off. Whatever you want to call it. It can happen in meditation. It’s when you lose control of your mind. I don’t mean that in the sense that we lose control and go insane; simply that we can lose control of our focus. One of the most important parts of meditation is staying in control of our focus. When you meditate, you will come across distractions both internal and external. The key is to stay in control. This is why the best type of Buddhist meditation technique for beginners is mindful breathing. With breathing meditations, beginners can stay in control.and keep the mind focused. In meditation, breathing often acts like an anchor. When we feel our focus slipping away, we draw attention back to the breath. That keeps our consciousness anchored so our minds stay in place, so to speak. When you know how to return the mind to the breath, you give yourself as an easy way to bring back your focus. That’s why the best Buddhist meditation for beginners is mindful breathing. Take a look at the link above. Learn breathing meditations. And then continue with the rest of this guide. Losing your mind is not funny unless Jim Carrey is doing it. Use mindfulness to keep your mind. 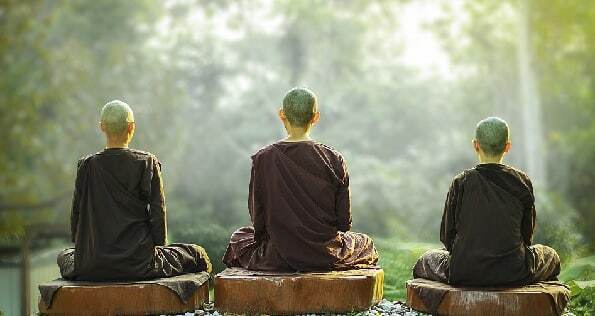 Mindfulness is one of the core types of Buddhist meditation technique. For beginners, it helps the mind to stay in the moment. And it will boost your focus and concentration. Plus, it’s an excellent way of removing stress and relaxing. When you have mindfulness you gain more control of your mind. That translates to having more control of your actions, making you much more effective. Learn Mindfulness in this guide. And you might like to try these 25 mindful habits, too. If you want to be Zen-sational, you’ve got to practice Zen. Zen is a Japanese school of Mahayana Buddhism that is closely related to Taoism. There are tons of great Zen Buddhist meditations for beginners, ranging from traditional seated meditation to Zen walking. For beginners, Buddhist meditation in the Zen style will help you to learn to be inwardly still and focused, which is essential when you’re new to meditation. If you want to learn some beginners Zen meditation techniques, take a look at my Zen meditation tutorial. You love walking, right? I know I do. But, grasshopper, do you know what is better than just plain old walking? Zen Walking. 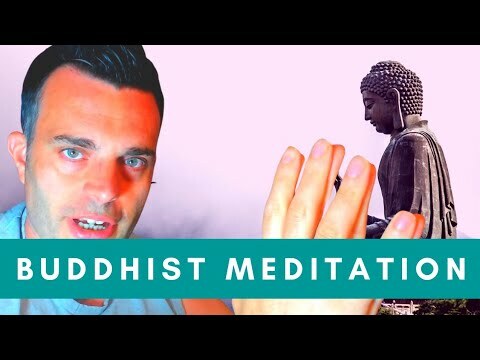 This is one of the most relaxing types of Buddhist meditation techniques for beginners to try. With Zen Walking you will focus your mind on the process of walking. Now, you might be thinking, “Why would I want to do that”. But actually, there are a lot of very good reasons why you should be mindful of walking. Zen walking is one of the best beginners Buddhist meditations for beginners who want to relax. It also heightens your mind-body connection. This helps to focus your mind on your actions and also makes you more aware of your body. Zen Walking is also a good form of gentle exercise and is one of the most relaxing Buddhist meditation techniques. Plus, consider how much time you spend walking. Probably a lot, right? Now imagine if you were mindful every time you walked. That would be a major boost to your overall levels of mindfulness, right? Take a look at my guide to Zen Walking. Now that we are familiar with the different types of Buddhist meditations for beginners, it’s time to put that knowledge into practice by adopting a training plan. Here is the plan that we recommend. Buddhists meditate as a way to achieve enlightenment. But before you set your sights on such lofty aspirations, stop. It’s smart to go slowly and to learn meditation the right way. For the beginner, Buddhist meditation must be done gradually and consistently. Try to do at least one of the exercises each day. At the end I will prescribe a traditional Buddhist meditation plan and recommend that you practice one technique at a time, starting with the first one before moving on. The most important thing when it comes to learn Buddhist meditation as a beginner, is commitment. Commit to the practice. In week 1 you want to do only the simplest techniques, which is a breathing meditation. Take twenty minutes each day to sit and focus your mind on your breathing. This will quiet your mind and enhance your focus. Choose a time each day where you can focus on your breath for twenty minutes. Do not focus on results during this time, simply aim to do twenty minutes of breathing meditation each day. In week 2 you will want to continue your breathing practice, continuing your commitment to those twenty minutes a day. And at the same time, progress into slightly more advanced techniques like Zen Walking. However, this demands that we put aside another 20 minutes to practice. Many people simply don’t have the time. For this reason I recommend practicing Zen walking while on your way somewhere. If you are going to work, for instance, choose a safe path to work and leave a little earlier than usual. This will give you the time to practice zen walking while you are on your way to work (which saves time compared to having a dedicated schedule for this type). You may practice Zen walking whenever you are on a safe path, so the next time you are walking somewhere, go a safe route and meditate while you walk. In week 3 we want to begin to use meditation in our everyday living. For this we use mindfulness. It is possible to practice mindfulness meditation while doing anything (I previously shared a link to mindful habits, above, for you to try). Say, for instance, that you are doing the dishes. You can meditate on the process of cleaning, thus practicing while you work. You can equally practice while exercising, while showering and while doing other simple tasks. By practicing mindfulness meditation while you work you are learning to adopt a meditative style of living, rather than simply practicing at specific times. In this final week I recommend adding Anapanasati, Samatha, and Vipassana to your current meditation training schedule. Read our complete guide to meditation for more on these techniques. Once you have learned Anapanasati, Vipassana, and Samatha using the link above, add them to your plan. Try doing twenty minutes of each a week. Include a second 20 minute period per day when you will practice Vipassana. You will find it helpful to track your meditation time. And there you are, the complete Buddhist meditation plan for beginners. With this plan, you can use all the best types of beginners Buddhist meditation techniques effectively. But naturally, you can feel free to add to this plan if you like. and another great way to meditate is with a Tibetan Singing Bowl. Who knows, eventually you might become such an advanced meditator that you return as an enlightened Buddhist, having lived to 200 in Tukdam state with a Rainbow body. Know of another good Buddhist meditation for beginners?